Adobe recently posted a new video demo of the upcoming Photoshop CS5. Remember – the new version (along with the rest of the Creative Suite 5) should be unveiled next Monday. The new video clip shows another ground-breaking new feature and I really enjoyed being amazed by the thing. I certainly hope you will too. The new feature is rather funnily called Puppet Warp and it allows you to move parts of still objects as if they are physically in front of you. Well, it’s got more mundane applications as well – such as fixing distortion in photos. 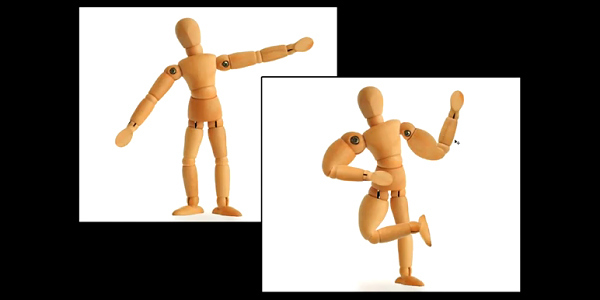 But heck, photo distortion is boring – see the Puppet dance for you. Nice, isn’t it? The next new feature is probably Time Warp – it will quickly allow you to fix wrinkles and other age-related imperfections. In other news, Adobe just released Lightroom 2.7 Release Candidate plus the Release Candidate of Camera Raw 5.7 for Photoshop CS4. I already told you of the improved RAW processor that was introduced in the beta of Lightroom 2.7. Now you can give it a try on Camera RAW in good old Photoshop just as easily.